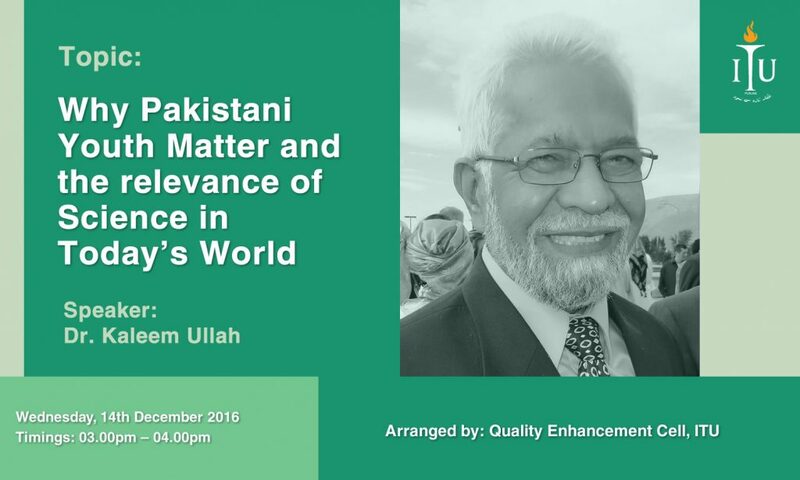 The Quality Enhancement Cell (QEC) Library & Knowledge Center of Information Technology University of Punjab (ITU) is organizing a talk by Dr. Kalimullah, an interfaith American Scholar, on “Why Pakistani Youth Matter and the relevance of Science in Today’s World” on Wednesday 14 December 2016 from 03:00 to 04:00 pm at Auditorium 6th Floor ASTP. He has extensive teaching experience at Washington State University and is an engaging personality. 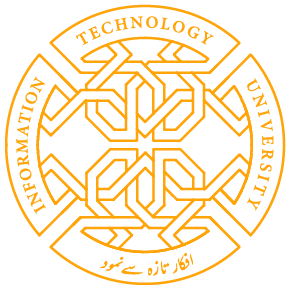 He will also discuss Possibility of Pakistan’s youth and all the enormous talent, talk about the leading scientists, to show how Pakistan can produce leaders once again and to focus on own personal story and how he got inspired to go into education and science. Share the post "TALK ON “RELEVANCE OF SCIENCE IN TODAY’S WORLD"